Step inside The Dragon on Dublin's George's St. and prepare to open your eyes and mind to a visual and sensory extravaganza. 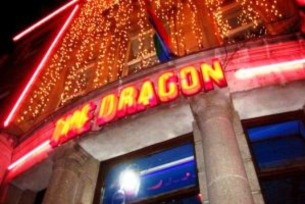 The Dragon is one of Dublin's liveliest gay bars. The opulent oriental interior seems to explode from the second you step inside the door into a seated lounge area, before you move down the steps to the main bar and the incredibly popular booth seated area. Moving on past the bar, you'll find yourelf on the main dancefloor, shaking your booty to some of the finest DJ's Dublin's gay scene has to offer.